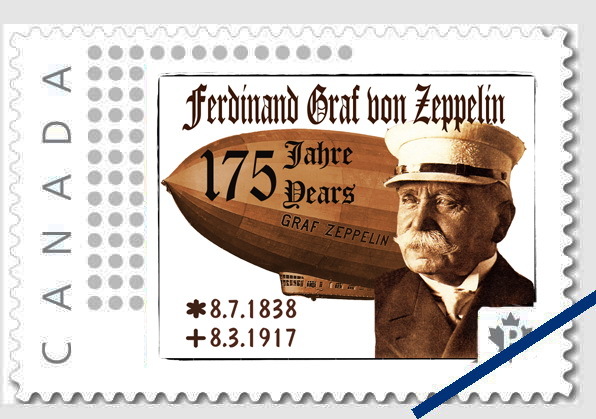 All the stamps displayed in this STAMP ALBUM have been designed by K. Peter Lepold. 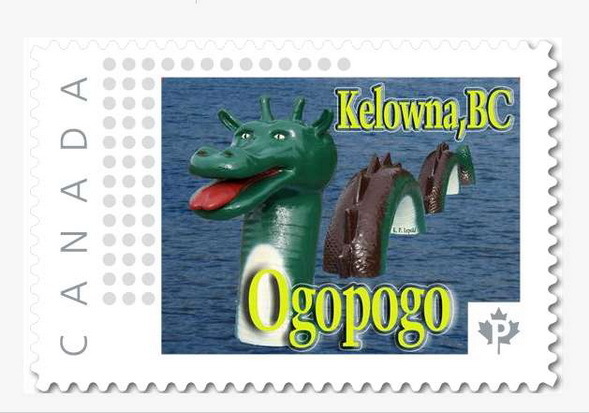 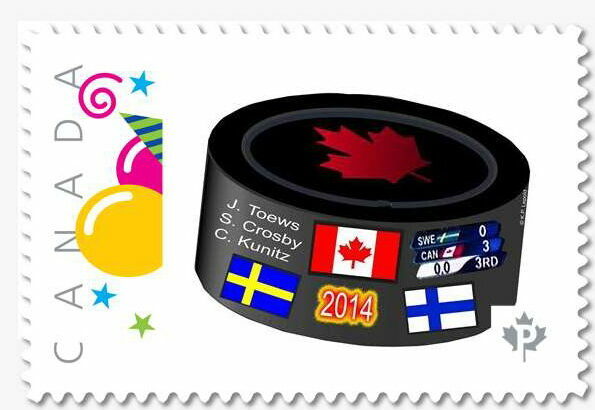 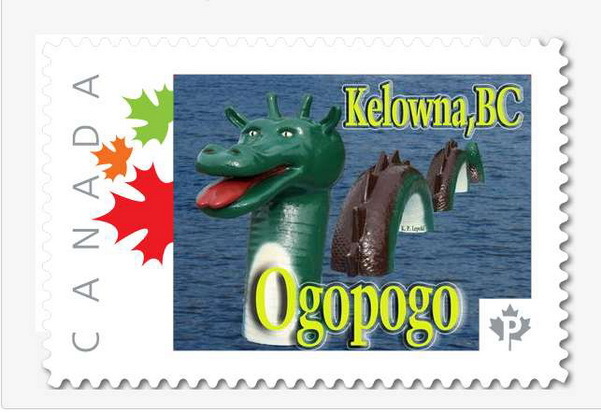 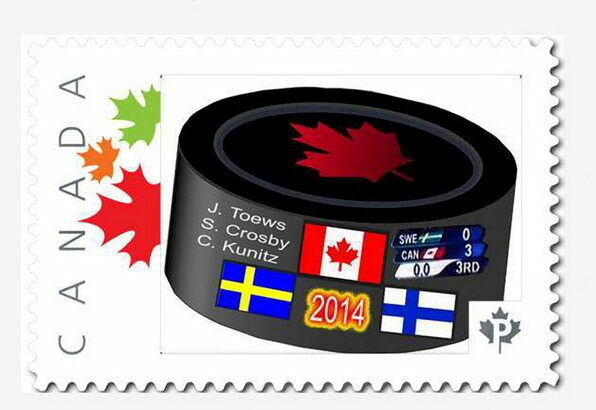 They were printed by CANADA POST in Ottawa. 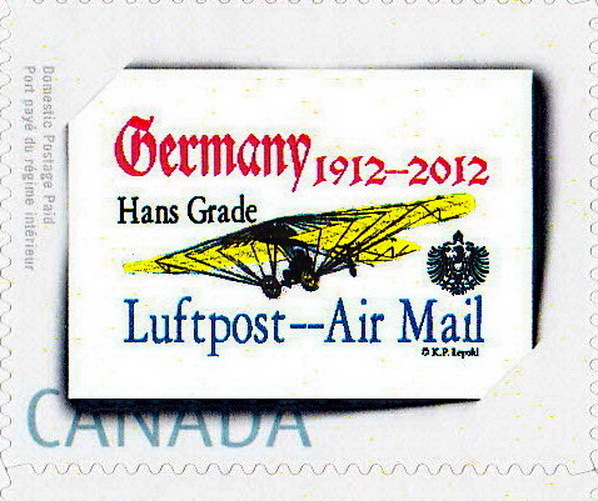 The value represents a First Class letter rate. 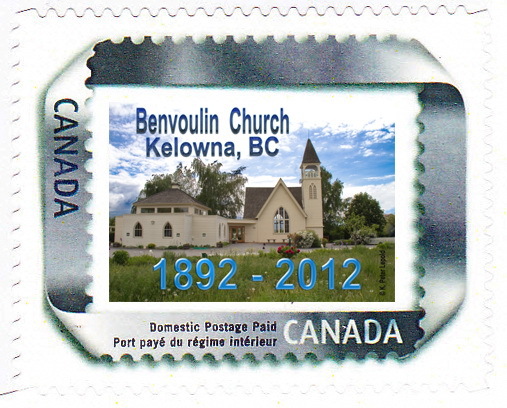 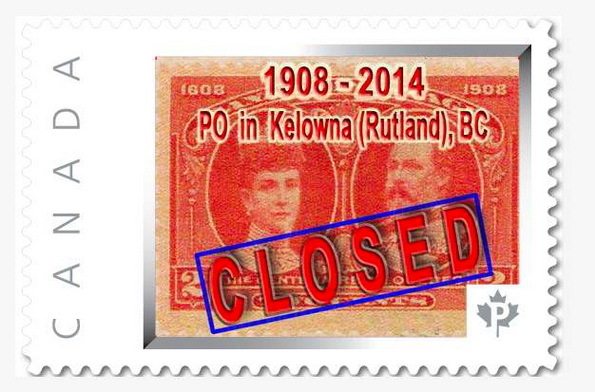 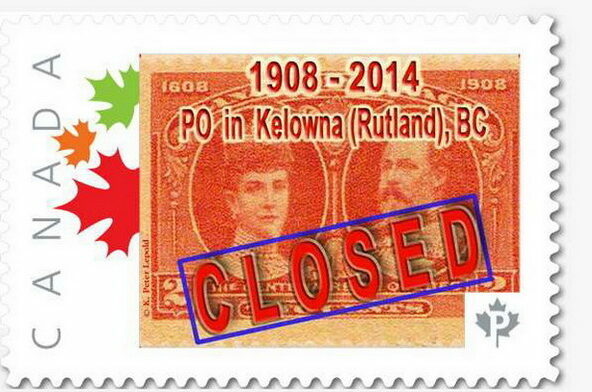 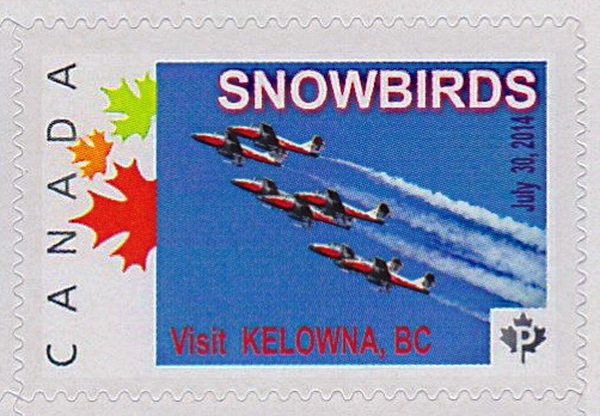 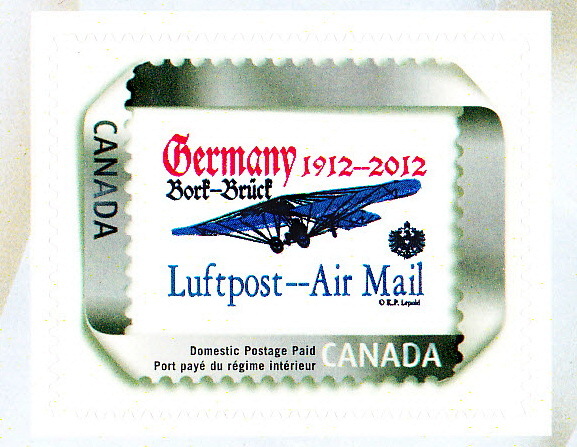 It is shown as "Domestic First Class or "P" [Permanent] and effective April 1 2014 represents a 85 cent stamp. 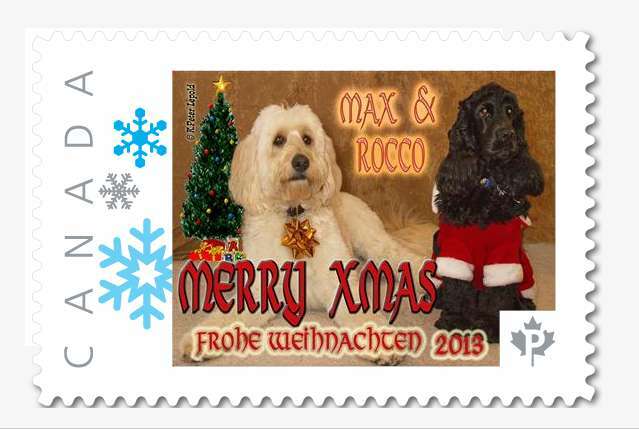 They are NOT available from the local post office. 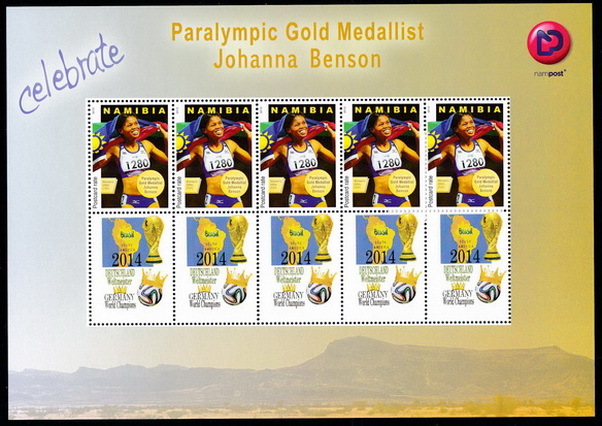 They can be obtained from us, or in some instances the municipality, school , society , local museum etc. 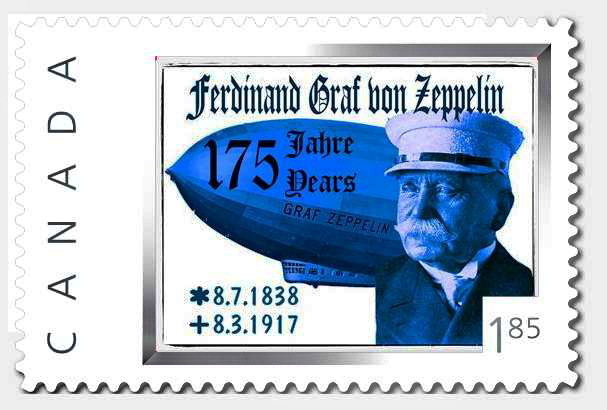 which was involved or honored in the creation. 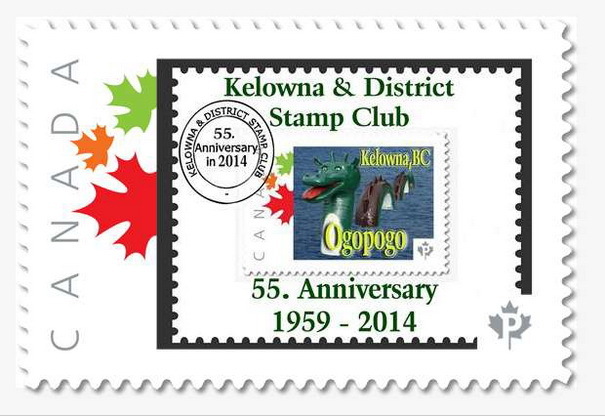 Please view our Stamp Website for more information or email us. 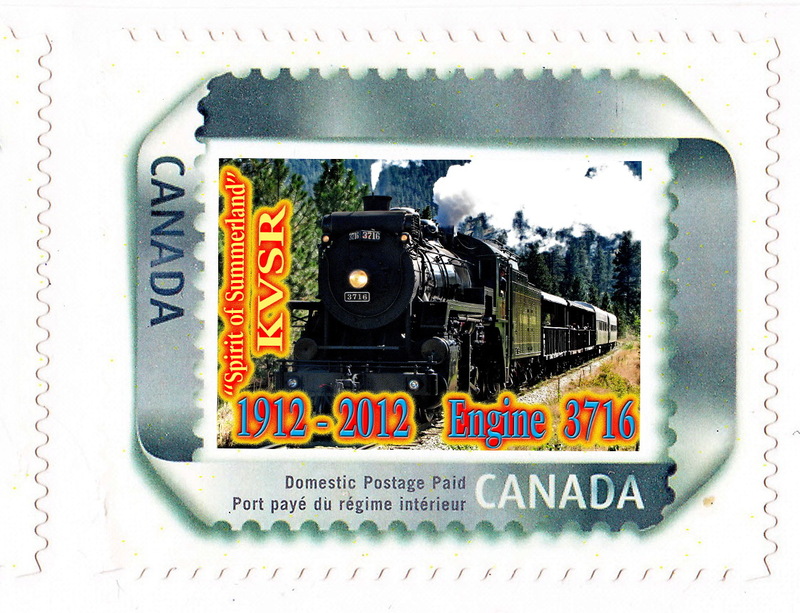 2012 Kettle Valley Steam Engine Anniv. 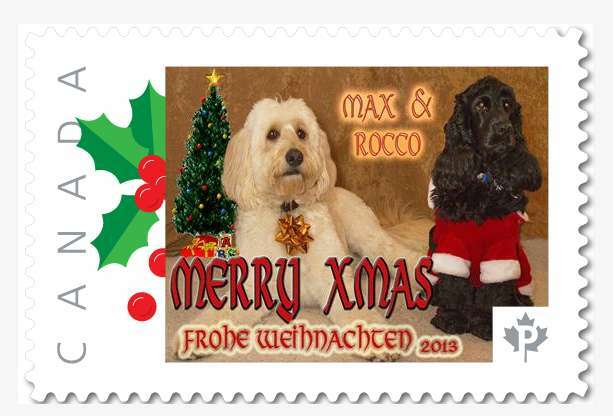 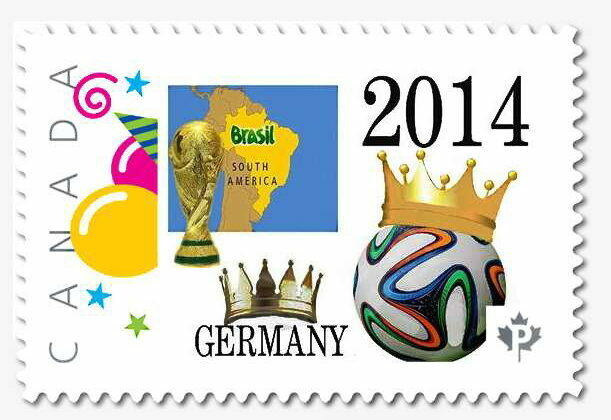 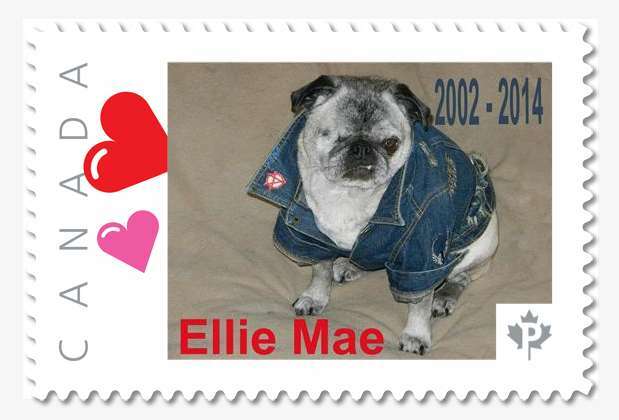 "Since 2003 I have created over 50 different Postage Stamps. 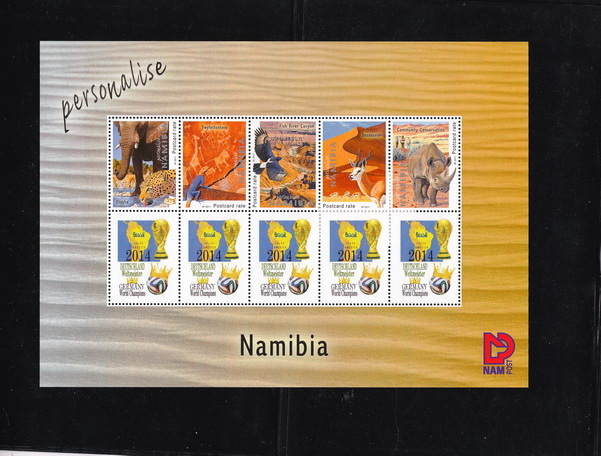 Most of them were printed by CANADA POST, others by the NAMIBIA (former SWA ) Post Office. 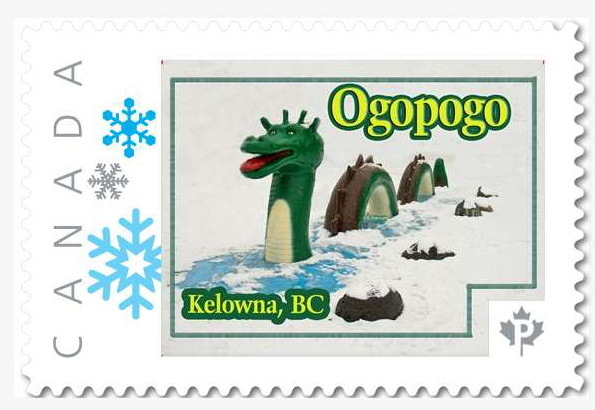 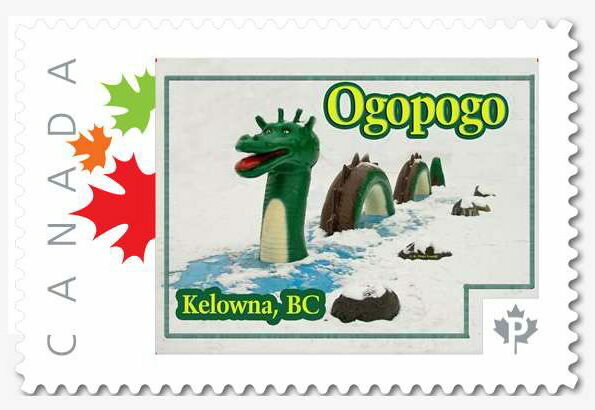 The designs commemorate anniversaries of towns, churches, Okanagan Historical Sites, birthdays, weddings, historical flights, Vernon Winter Carnival etc. 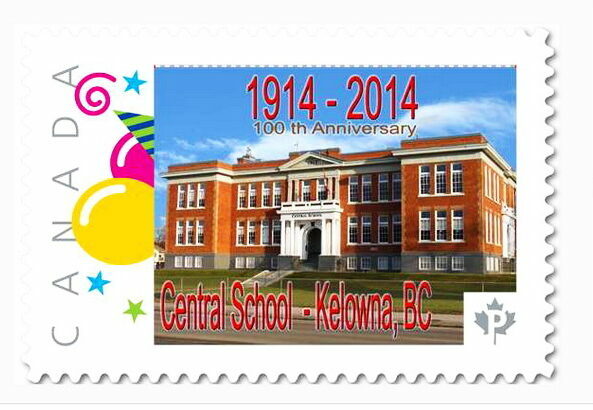 If you would like to commemorate a special occasion, please contact me. " 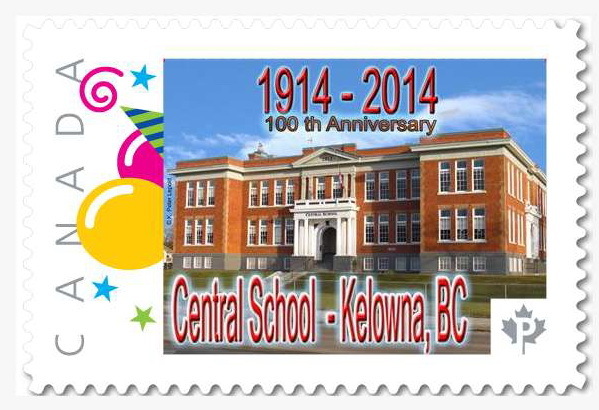 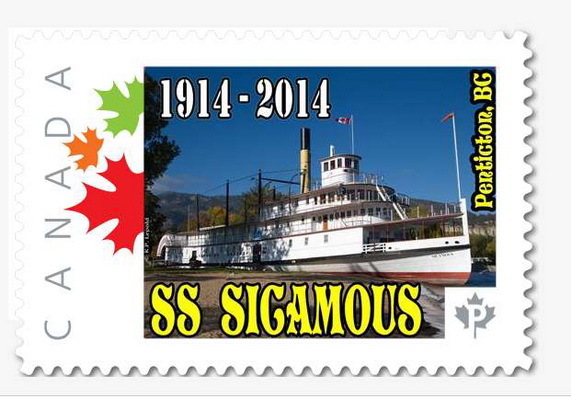 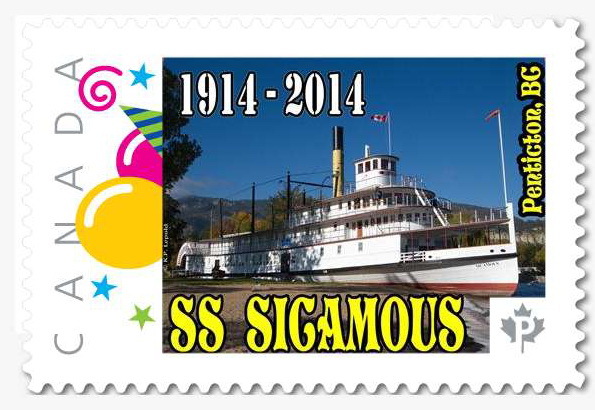 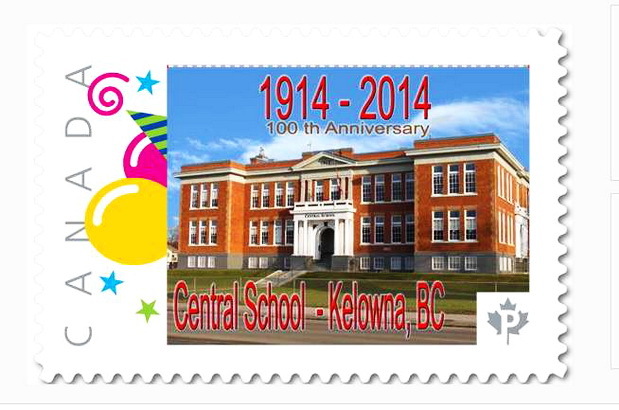 To view older stamp issues, or a complete list of all of our stamps - please click on the Button below.